#1. What about those WHO DO NOT FEEL SAFE? The very idea of leaning backwards, inverting at a High Angle and going upside down is enough to make some people break out in a sweat. Are you one of the many WHO ARE AFRAID OF – OR UNABLE TO – HANG UPSIDE DOWN in the first place? Gravity Pal is the effective Low Angle Solution for you!! #2. What about those who are in MODEST or MARGINAL PHYSICAL CONDITION? Have you ever noticed the TV Commercials for High Angle Inversion Tables prominently feature firemen and really physically fit people who happily hang upside down for the camera? What about those in MODEST OR MARGINAL health? What about Elderly? Are they out of luck? Gravity Pal is the gentle Low Angle Solution that you can try at home for 15 days to see if it works for you. #3. WHAT ABOUT THE HIGH ANGLE HASSLES ? Gravity Pal’s gentle and effective Low Angle Inversion Table solutions are designed to eliminate all of these hassles. #4. DO YOU TRAVEL & WANT A PORTABLE OPTION? The Gravity Pal Traveler is the ONLY PORTABLE Low Angle Inversion Table on the market. AND you can try it out for 30 days, RISK FREE ! 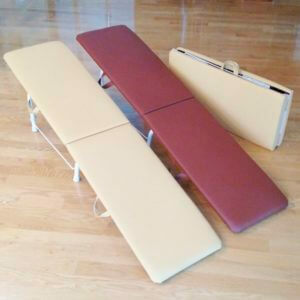 There are three Gravity Pal Models for Wellness, Beauty and Back Pain Relief – Luxury Bench, Trimline and Traveler – Each are designed to conveniently fit into your lifestyle, whenever and wherever you need it or want it. Please read our post, Which Gravity Pal is Right for You? I have tried both kinds of inversion tables, and Gravity Pal is by far the easiest to use. 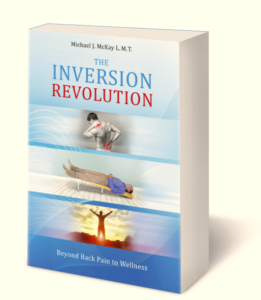 In fact, I can’t even imagine trying to use a high angle inversion table any more, as it is far too stressful on the knee and ankle joints, and I’m not sure I could tolerate complete inversion for more than a few seconds.